With Next Time, Together Forever exiting the race, Love's Lies takes a clear lead in CSM52 ratings. The show just reached 1 billion views in traffic and finally made it to the weekly web rankings in sixth place. 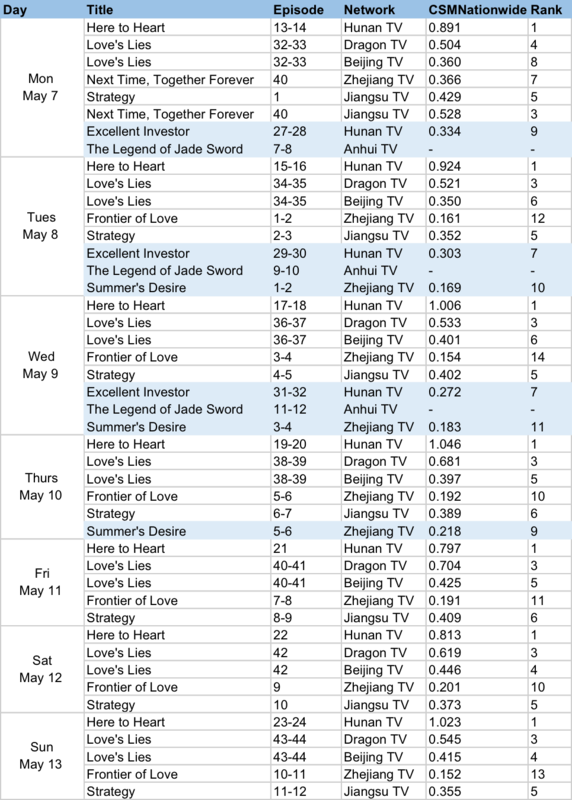 Its online numbers are not nearly as good as other web dramas, but winning primetime ought to make up for it. Here to Heart trails closely and also flirts with breaking past CSM52 ratings of 1.0%. The show is currently number one in CSM Nationwide and online. We also saw a number of new dramas with Frontier of Love, Strategy and Summer's Desire premiering almost consecutively though none seems to be making much of an impact on television. 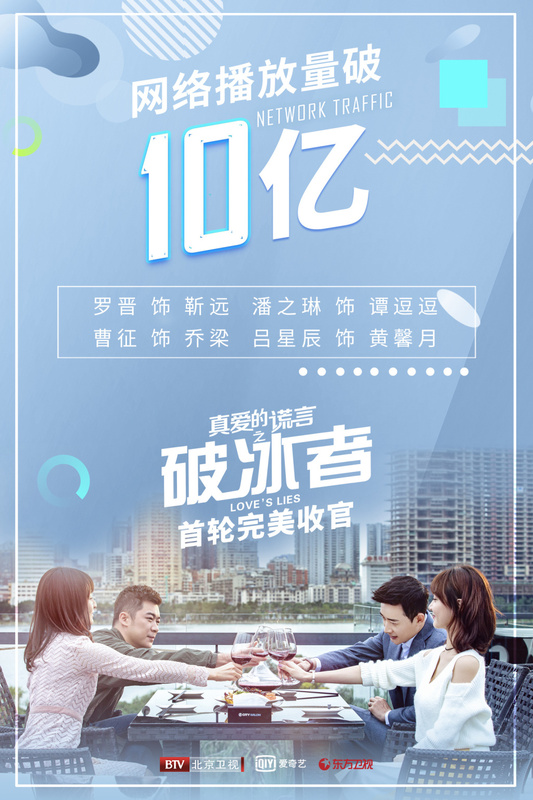 Of the new web dramas, Moonshine and Valentine is the only one to make top ten and it's quite well-deserved at that. On a side note, Legend of Jade Sword is doing terribly on television with numbers as low as 0.0%. At least it's still ranking online. Love's Lies has the marriage near the beginning rather than at the end of the drama.